The Department of Information Technology was established in 2001 with an intake capacity of 30 and later increased to 60 students in 2002. The department has excellent computing facilities which include eight software and hardware laboratories. The laboratories are equipped with more than 227 computer systems with latest hardware configuration and software tools. Various applications software like IBM, Rational Suite, Oracle 9.0i, Visual Studio, 3D Studio MAX and others are available with the department which is in accordance with the latest trends in the technology. A separate Language Lab is established with the necessary training software for the soft skill development. Departmental library facility is also extended to both staff as well as the students. 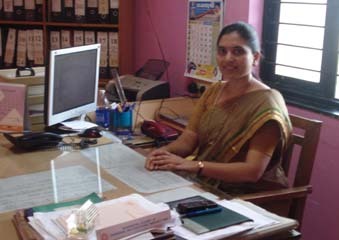 Prof. Dr. Preeti Bhamre heads the department that has highly qualified faculty members. 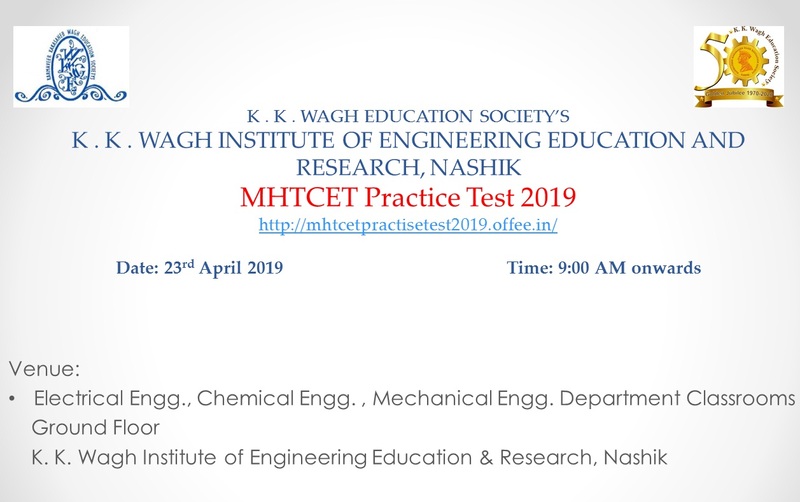 The competency of the faculty members is reflected not only in their teaching abilities but also the papers published and various technical books written by them. The students of the department are placed in renounced companies like Persistent Systems, Tata Consultancy Services, Oracle Services, L&T InfoTech, KPIT, GSLabs, ESDS, Winjit and others. The department regularly organizes a 10 days training program for the improvement of soft skills and to enhance the final year campus placement. In association with KPIT, Pune the department has conducted the KPIT PACE program for four consecutive years. The participants get an opportunity to be trained directly from trainers of KPIT Pune. The students have been successfully participating in various University and national level events. Students have shown their spark by winning renowned project contest like DIPEX-15. Students have secured position in merit list at University level. Ms. Rupali Chaudhari (2012 batch) secured 2nd position in the University merit list in the final year. The final year result of academic year 2015-16 was 86.11% and the topper was Ms. Samdani Shraddha with a percentage of 75.53%. The department runs an active student’s chapter named as ‘Iteron Club’. Various technical events are organized by the club for the overall development of the students. The department has conducted workshops on various topics like Information security, Oracle database, IT Project Management, Programming with C++ etc. The department has received funding from Savitribai Phule Pune University for conducting some of these workshops. The department has also received two research grants from Savitribai Phule Pune University for 2014-16. Industry experts from PSPL, ESDS, Credence Core, Excise Department, EPCOS Dreamweaver interact with students through activities like seminars, workshops, sponsored project guidance on weekly basis. 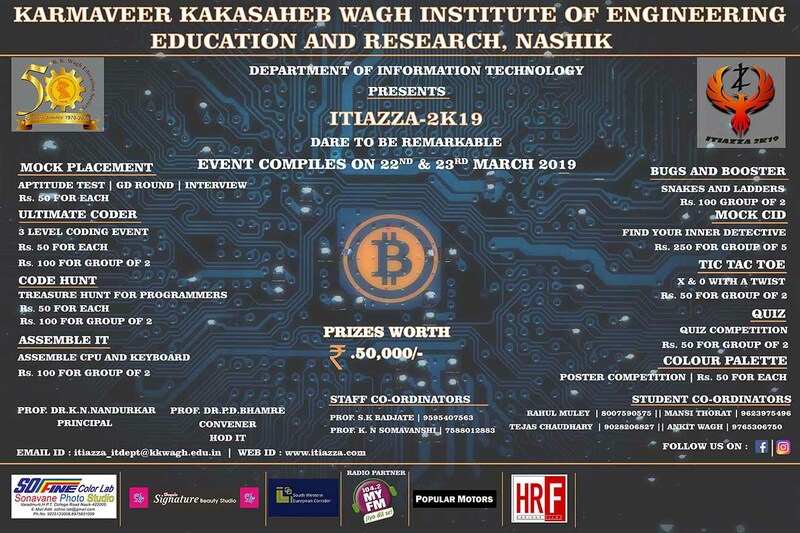 The Iteron club has been organizing a national level event technical symposium ‘ITiazza’ comprising of paper presentation competition, C-programming, Web designing contest and technical seminars and has been receiving overwhelming response each year. The department has also recently established the ACM student chapter with strength of 80 members.